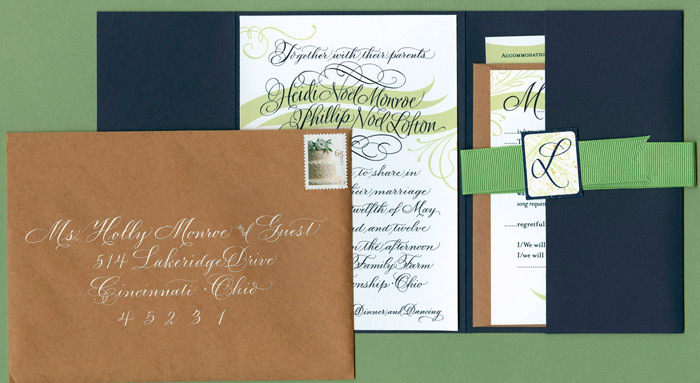 Calligraphy & Flourishing by Holly Monroe. Graphic Designer, Heather Steck. Concepts for Invitation, Heidi Monroe.